Here we start a new regular column for the From The Tofu Bowl rounding up the smaller East Asian leagues. This week Afonso turns his attention in his first article to the Mongolian National Premier League. 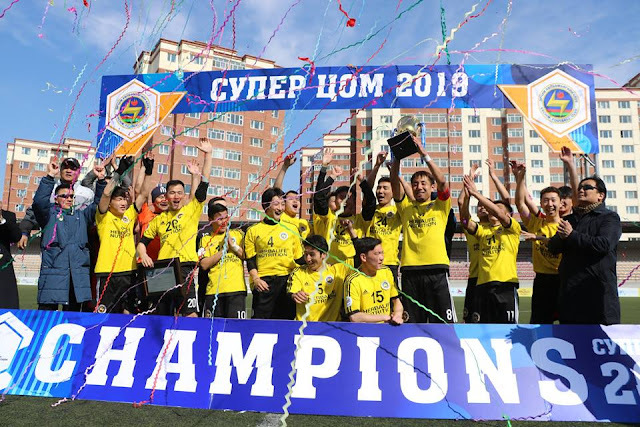 Last weekend marked the beginning of a new Mongolian football season, Erchim FC once again are the big favourites for the title, especially after the convincing 4-2 win in the Mongolian Super Cup played the week before against Athletic 220. Erchim FC is the club of the moment in Mongolia, dominating the Mongolian National Premier League, from now on named the Mazala National league, for the last decade they've been the big favourites and will look to claim another title this season. Ulaanbaatar and Athletic 220 are the teams that will try to make life more difficult for Erchim FC, but it will not be an easy task. Starting with the title favourites, Ulaanbaatar and Erchim FC had easy wins in matchday one, Erchim FC beat Khaan Khuns 3-0. 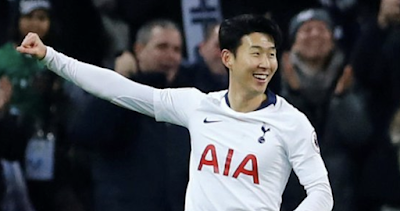 Khaan Khuns tried to stick with a defensive approach trying to explore the counter-attack, and it worked up till the 60th minute, at this point Erchim FC opened the scoring. After the first goal, Erchim FC gained the momentum and on 64 minutes they added another one, making it an almost impossible task for Khaan Khuns. Then on the 90th minute, Erchim FC scored the third to confirm the final result. Meanwhile, Ulaanbaatar trashed Khoromkhon 4-0, but like in the Erchim FC game, it was only in the second half that Ulaanbaatar took control of the match as they scored the opening goal on 62 minutes. Just two minutes later Otgonbayar added the second for Ulaanbaatar, making the result more comfortable for them. Then came two fast goals as Khoromkhon lost their confidence and conceded four in total. The final two goals coming in the 74th minute and the final minute of the match from Bayasgalan and Kazutaka Otsu. SP Falcons too had a big win in the league against Anduud City as they beat them with by four goals without response and Ulaanbaatar City drew 1-1 against Deren. While the game between Athletic 220 and Khangarid was postponed. After the first weekend of matches played, Erchim FC, Ulaanbaatar and SP Falcons lead the table, but in just week two will see a top of the table clash between Erchim FC and Ulaanbaatar, in what will be the first real test for both teams. Turning now our attention to Hong Kong, last weekend the Sapling cup semi-finals were played, with Yuen Long beating Pegasus 3-2 and Warriors trashing Dreams 4-1. The final between Yuen Long and Warriors will be played on the 27th of April in what will be an exciting match to watch between two clubs that are in the final third of the Hong Kong Premier League table. The Taiwan Football Premier League also started last weekend and with a powerhouse’s derby between Tatung and Taipower, with Tatung dominating Taipower as they won the match 3-1. Last season the Taiwan title was decided between these two clubs, and with such an important win Tatung starts the season as major favourites. Hang Yuen also can have something to say regarding the title fight but the AFC Cup commitments could drive their attention away from the league. Finally, in Macau, the Macau Elite League reached the middle point of the season, with C.P.K. comfortably in the lead as they sit six points clear of Ching Fung. Both teams will play against each other this week in what can be the decisive match of the season if C.P.K. wins the title fight will be over, but a Ching Fung win can make things more interesting until the end of the season. Monte Carlo, Benfica Macau and Ka I are also with an eye in this match because it can be the perfect opportunity for them to close the gap to the front of the table.